Medicinal plants are plants that have been identified and are known by human observation has a compound useful for preventing and curing diseases, perform specific biological functions, to prevent attacks of insects and fungi. At least 12 thousand compounds have been isolated from a variety of medicinal plants in the world, but the number is only ten percent of the total amount of compounds that can be extracted from the whole plant medicinal. The use of plants as medicine has been around since prehistoric times humans. In 2001, researchers have identified 122 compounds used in modern medicine is derived from plant compounds that have been used since prehistoric times. So many drugs available today is derived from the herbal medicine, such as aspirin made of willow wood, also digitalis, quinine, and opium. 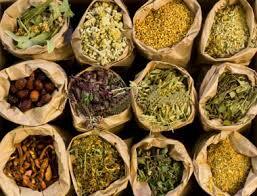 WHO estimates that 80 percent of people in Asia and Africa utilizing herbal medicine for some aspect of health care. United States and Europe have less dependency, but showed an increasing trend since the effectiveness of some medicinal plants have been scientifically tested and publicized. In 2011, a total of medicinal plants are traded around the world reached a value of over 2.2 billion USD. With the resources derived from plants, the biological richness of a country such as forests become important, and forest degradation threaten the existence of medicinal plant ever and is currently utilized by the indigenous inhabitants and the surrounding forest area. The biodiversity in forests important than as a means of conserving species of medicinal plants to humans, also can be a source of emergency medicine for rare animals in nature reserves. Useful plant needs to be identified and investigated further, and conservation experts or rangers need to be trained to use the medicinal plants. Knowledge of the use of medicinal plants in the forest can be extracted from the local community based on their experience handed down from generation to generation. Tribal Tugutil National Park Aketajawe Lolobata, Halmahera, have knowledge of at least 116 local plant species, with 71 species used as food plants and 45 species used as medicinal plants.